BURGER REVIEW: Sidekick Kitchen at Mash Tun, Church St.
Home Blog Reviews BURGER REVIEW: Sidekick Kitchen at Mash Tun, Church St.
On a sunny evening you cannot beat sitting outside at the Mash Tun, situated right in the heart of town. Lucy and I have been meaning to try the new menu here from the Sidekick Kitchen as we have heard great things already from our burger loving friends. 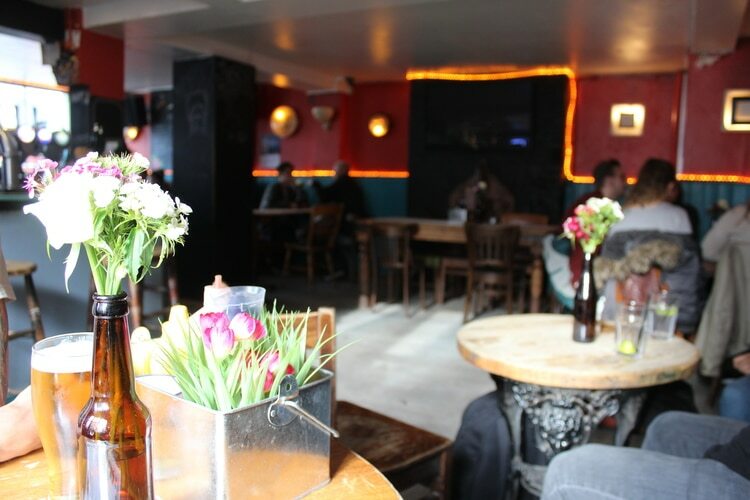 Midweek is a nice time to visit the Mash Tun, it is quiet and more relaxed than the weekend, perfect for a bite to eat and a beer after work. 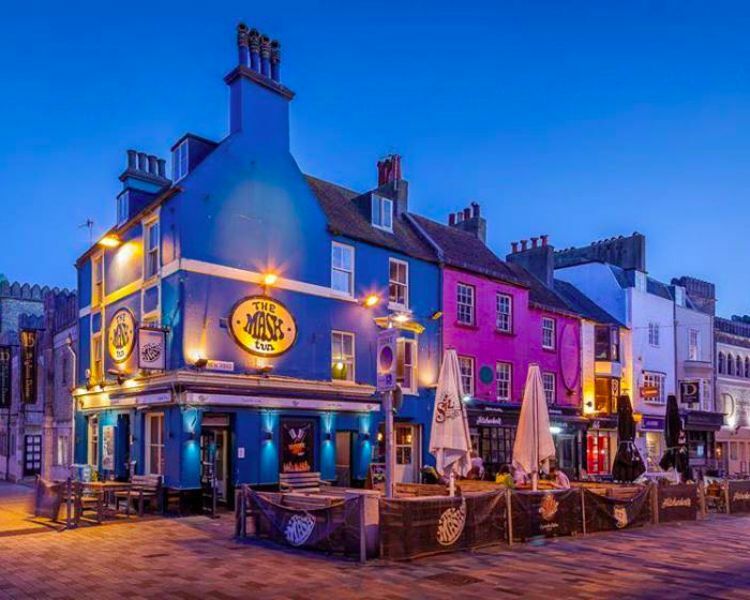 We are brightly greeted at the bar and the barmaid quickly takes our drinks order as we grab a menu to browse the array of delicious sounding burgers by the Sidekick Kitchen. All of the burgers are topped with leaves, pickles, garlic mayo and served in a brioche bun (sourced from the Flour Pot Bakery), served with a side of skin on fries. The burgers are named after some fun popular culture characters and the fillings sound so mouth watering we cannot wait to order and get tucked in! One of their burgers, ‘The Boy Wonder’, is a grilled beef patty topped with Monterey Jack cheddar, streaky smoked bacon, filthy fried onions and hero sauce. If you are looking for a vegetarian option then try ‘The Harley Quinn’ a beetroot, mozzarella and butter bean risotto patty, topped with stinky stilton, pan fried peppers and an apple and ale chutney. 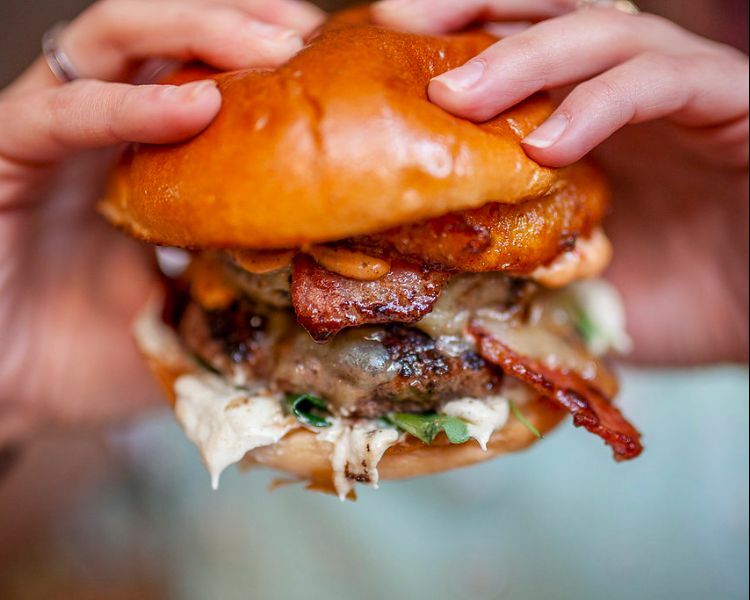 If you are feeling really peckish you can order a double burger on any option, which we cannot refuse and we finally decide on ‘The Dr Watson’ and ‘The Chun Li’, burgers. As Lucy and I catch up on the day’s gossip the barmaid walks to the table carrying our food. The burgers look amazing with the brioche bun lid glistening in the evening sun. I just want to dive straight in but unfortunately I have to wait for Lucy to take the pictures for the review before we can eat, when the food looks this good it can be so frustrating! The ‘Dr Watson’ burger really packs a punch, a grilled beef patty topped with the stinky stilton, pan-fried peppers, red onion, apple and ale chutney and a bacon crumb. 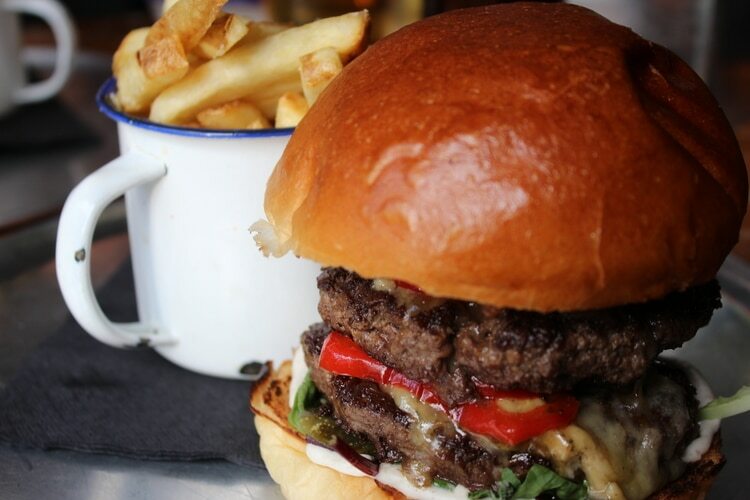 This burger packs a punch and is a little bit different, the sweetness of the peppers cut through the strong stilton. The perfectly cooked beef patties, slightly pink and seasoned perfectly, can withstand the strong flavours of the topping, the warming flavours of the chutney and smokiness of the bacon crumb round off a truly scrumptious burger. The Sidekick Kitchen have found their own style in a town where burgers are so popular, and boy have they done it well. 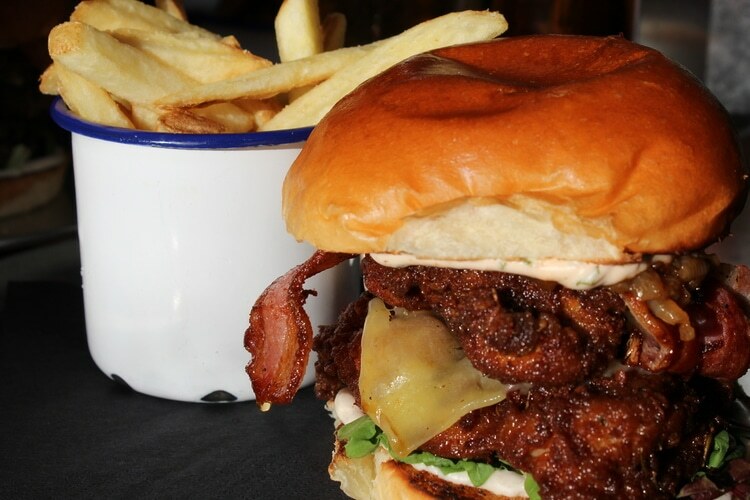 ‘The Chun Li’ burger is buttermilk fried chicken, topped with applewood smoked cheddar, filthy fried onions, streaky bacon and a chipotle and lime sauce. 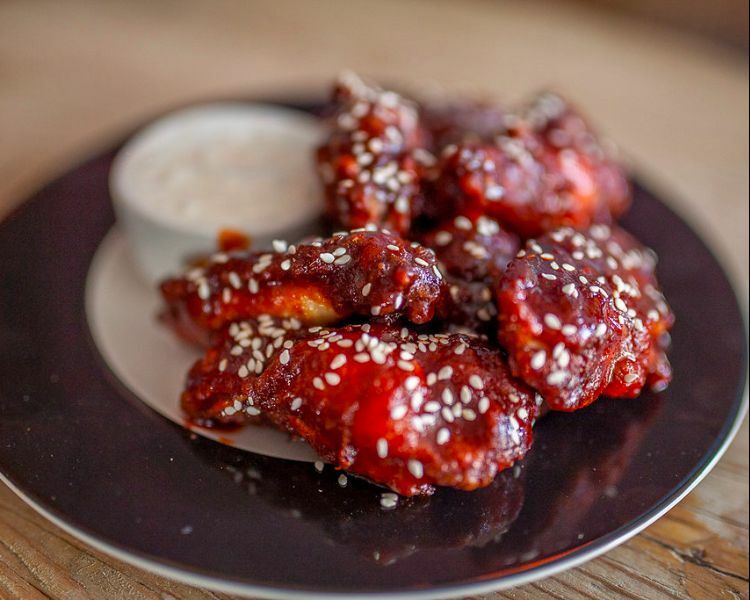 The chicken is moist and tender and the buttermilk coating has a great bite. What I really love is the smokiness coming from the cheese and bacon, paired up with the sweetness of the onion. You also have more smokiness coming from the chipotle sauce with the addition of lime that provides sour against the sweetness of the onions. Another burger for Sidekick Kitchen to boast about and I will certainly recommend their amazing burgers to my friends. 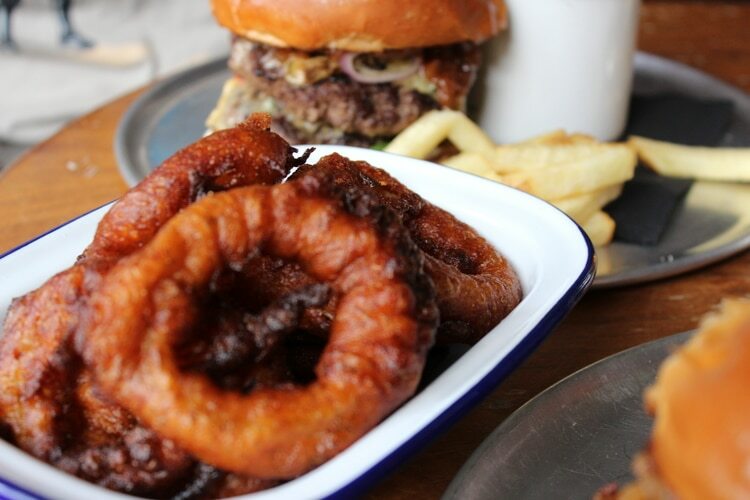 What goes better with a burger than fries and onion rings? I’m so glad we have both. The Sidekick Kitchen don’t mess around with something simple like fries, they are fried perfectly, light and fluffy on the inside and have a great crunch on the outside. The onion rings are mighty, the batter is crisp and golden, the onion inside is sweet, the perfect side dish to go with one of Sidekick Kitchens knockout burgers. 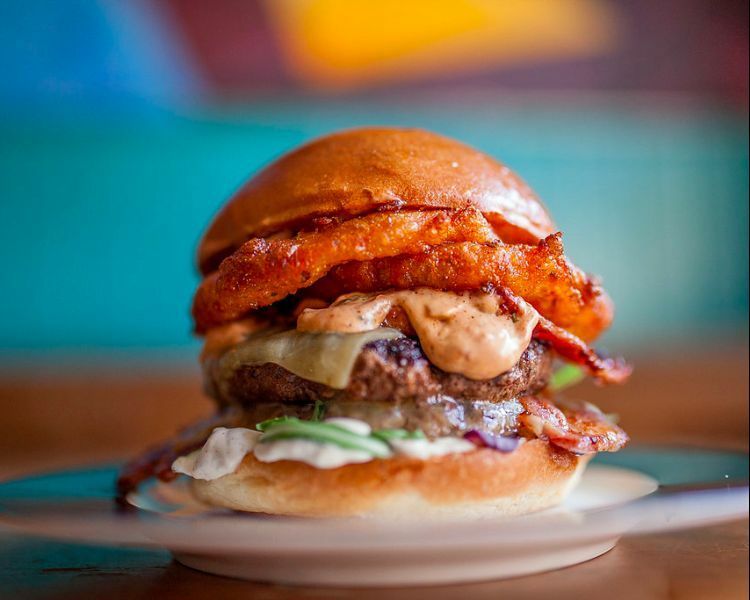 The Sidekick Kitchen have made a stamp on the culinary map of Brighton with their great burger menu. I have enjoyed every bite and unlike so many places, the burger bun and filling has not fallen apart, making for a much nicer (and cleaner!) dining experience. If you fancy a burger in the sun this summer then make sure it is from the Sidekick Kitchen, you will not be disappointed!